What Types of Accidents Are Eligible for a Premises Liability Lawsuit? When you visit the home of a family member or friend or enter a business, safety may not cross your mind. Under reasonable circumstances, people have the right to believe that a home, apartment, store, or restaurant will not cause them harm. In fact, it is the responsibility of people who own, manage, or occupy a property to maintain it properly to prevent accidents. When a person is injured on another person’s property, they may be able to recover compensation through a premises liability lawsuit. If you have been injured on someone else’s property, you may be eligible for compensation for medical bills, lost wages, and pain and suffering. If the property owner was negligent and failed to maintain the property to a reasonable standard, then they may be held liable. What Is Considered a Premises Accident? 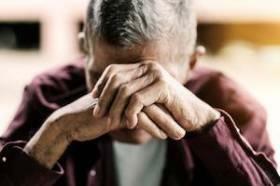 For many people, losing a loved one is the worst thing they can contemplate. 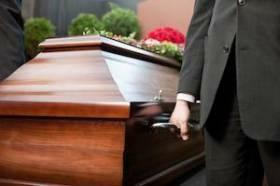 The death of a family member can be devastating, and their survivors are likely to experience a great deal of grief and sorrow, which can make dealing with burial arrangements, inheritances, and other legal issues incredibly stressful. When the death was caused by someone’s negligence, these emotional difficulties can become much worse, and a person’s untimely death can also result in a great deal of financial strain for their family. Fortunately, the law allows a person’s survivors to pursue a wrongful death claim against the party or parties who were responsible, providing them with compensation for the damages they have suffered. While today’s vehicles provide more safety features to drivers and passengers than ever before, thousands of people are still injured or killed in car crashes every day across the United States. 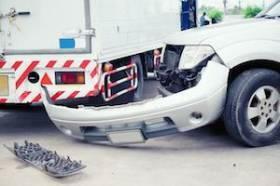 Collisions involving semi-trailer trucks are especially dangerous, due to their large size and weight. Truck accidents result in nearly 4,000 fatalities and 100,000 injuries every year, and unfortunately, many of these accidents are preventable. Drivers who have been injured in a collision with a tractor-trailer truck should understand the potential causes of these types of accidents and their options for pursuing compensation from the liable parties. Making a difference in the lives of people is why our law firm exists. A striking example of that commitment is the recent work of Mark Masur and Pat Flaherty. Following an intense five year battle, they obtained a life-changing award for a construction worker who suffered brain damage after being struck by a train. The award will allow the worker and his family to rebuild their lives and to enjoy a secure and stable future. For us, few things compare to the satisfaction of righting wrongs and renewing the human spirit. Congratulations to Mark and Pat for standing tall. Justice is seldom easy, but it is always worth the fight. For more information about how the attorneys of Kinnally Flaherty Krentz Loran Hodge & Masur P.C. can help you receive the compensation you deserve for injuries suffered due to someone else's negligence, contact us at 630-907-0909 to schedule a free consultation. Losing your footing and falling down can be embarrassing, but most people tend to think of this type of accident as a minor incident that leads to little more than an inconvenience. 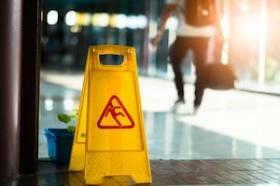 However, slip and fall accidents can be extremely dangerous, leading to serious injuries and even death. In 2014, slip and fall accidents accounted for approximately 32,000 deaths in the United States. At people’s homes or in residential communities, these types of accidents led to more than 31,000 deaths, and around 600 people were killed and 47,000 people were injured while slipping and falling at work. There are more than 1.6 million individuals who live in nursing homes or rehabilitation facilities in the United States, and around 900,000 people live in residential care facilities or assisted living facilities. Unfortunately, due to inadequate staffing and improper training in these facilities, there are far too many cases where elderly individuals are either abused or neglected. Even though the terms nursing home abuse and nursing home neglect are often used interchangeably, they are distinct forms of mistreatment, and it is important to understand the differences between these two offenses. The holiday season has officially begun, and as the weather gets colder and we begin to experience snowy and icy conditions, the roads and sidewalks are likely to become slick. 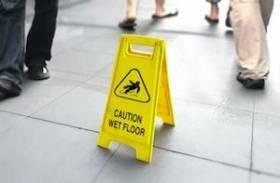 Slippery walkways can lead to premises accidents, and when these types of accidents occur while someone is working, they can result in expensive workplace injury claims. To prevent serious injuries and even death, both employers and employees should take steps to stay safe during the holidays. There are currently eight states—plus Washington D.C.—in which recreational marijuana has been legalized. A substantial number of other states have decriminalized low-level possession of marijuana, implemented legal medical marijuana programs, or both. Illinois is one of those that has done both. The increasingly lax laws regarding marijuana use have led many to wonder what the impact will be on public safety. Two recent studies that seem to contradict each other offer a fairly reasonable insight into the effect of legalized marijuana on the rate of car accidents. The first study was conducted by the Insurance Institute for Highway Safety and looked at insurance claims for crashes filed between 2012 and 2016. In 2012, Colorado and Washington became the first two states to legalize recreational cannabis use for adults over the age of 21. The researchers looked at those two states along with Oregon and compared their accident claims with neighboring states that did not legalize recreational use. The study estimated that crash rates were about 3 percent above what they would have been if marijuana had not been legalized. While the increase is not dramatic, it is statistically significant, according to the study. Spring has arrived in Northern Illinois, which means that the individuals and families throughout the region will be spending more time outside enjoying the warmer weather. For many, springtime also marks the beginning of another year of motorcycle riding. With that in mind, rider safety groups and state officials throughout Illinois are urging riders to protect themselves and to keep the road safer for those around them. It is the responsibility of every rider, driver, and pedestrian to do what they can to prevent motorcycle accidents and the injuries that often result. After your car has been towed and you have been to the doctor comes the part of an auto accident that most people hate the most: dealing with insurance. While every car accident is different, there are several common mistakes that people make when they have a car accident claim. If the insurance company has declared your vehicle a total loss, the value of your car must be determined. The insurance company will almost always attempt to determine the value, but be wary of their estimate. The mistake many people make is to simply accept the insurance company’s value without doing their own research. An offer from the insurance company is just an offer. If you can demonstrate your car was worth more than they are offering, you may be able to get more for your car. When a person is injured, ill, or otherwise in need of medical care, he or she expect thats the equipment used to treat them is reasonably safe. Unfortunately, this is not always the case. In fact, the number of defective medical device recalls have risen sharply over the last several years. Even more concerning is the risk that those defective devices pose to the general public: an undisclosed, often unpredictable risk of serious injury and/or wrongful death. In 2006, the medical device manufacturing industry paid for a study which concluded that serious device-related safety problems are “extremely rare.” Of course, as with most self-funded studies, the findings may have been more than a little myopic. Reports from the Food and Drug Administration (FDA) shows just how flawed the study may have been. Each year, the FDA receives more than 200,000 reports of defective medical devices. Even more concerning is that things are only getting worse. An FDA analysis found that, from 2007 to 2011, the recalls of moderate- to high-risk devices more than doubled. Auto accident injuries are frightening and alarming for anyone to experience or witness. However, young children are especially prone to catastrophic injuries, partly because their size and developing bodies make them more prone to certain injuries, but also because young children are unable to communicate when or where something hurts. Even more alarming is that some injuries cannot be seen, and parents may unwittingly make the wrong decision after an accident. Atlanto-occipital dislocation, or internal decapitation, is one such injury. Internal Decapitation – What is It? Internal decapitation is not an actual decapitation. In fact, the neck itself often appears to be intact. However, beneath the intact flesh, neck ligaments may have been severed or stretched. If not handled correctly and treated immediately, the lower part of the brain stem – a vital part of the brain that controls breathing – can be damaged and ultimately lead to death. The only chance at survival is the complete and careful stabilization of the neck and head. But even then, survival is not guaranteed, and the risk of permanent paralysis is extremely high.